My Voucher Codes put together a ranking of the best European ski resorts 2018 sorting the 55 largest ski resorts in Europe from bigger to smaller, with the things that matter the most of most skiers – from the variety of slopes to the price of the six-day ski pass. Their verdict is that if you are a thrill seeker, you should head to Les 4 Vallées where you can get over 100 km of back runs. On the other hand, if you are a beginner, the 312 km of Les 3 Vallées will suit any first timer. Les Portes du Soleil, the second area in the ranking of My Voucher Codes. My Voucher Codes ranking of the Best European Ski Resorts 2018. Les 3 Vallées – France: With 600 km of slopes, counting 312 km of blue slopes, 216 of of red slopes and 72 km of black slopes. The ski pass costs EUR 306 and it had a snowfall of 412.5 cm in the 2017-18 ski season. Les Portes du Soleil – France/Switzerland- landed in number two of this ranking: with 580 km of slopes (310 km blue, 210 km red and 60 km black) – a ski pass of EUR 265 and a snowfall of 332.6 cm for the past season. 4 Vallées Switzerland- Offers 412 km (107 km blue slopes; 202 km red slopes and 103 km black slopes). The ski pass costs EUR 312 and last season it got 453 cm of snowfall. Via Lattea (Italy/France), it has 400 km of slopes (96 km blue slopes, 220 km red slopes and 84 km black slopes). The ski pass costs EUR 196 and last season it had 275.5 cm snowfall. Les Sybelles (France), it has an area of 310 km (53 km blue slopes, 239 km red slopes and 18.5 km of black slopes), a ski pass of EUR 223 and 255 cm snowfall last year. Ski Arlberg (Austria)- it offers 306 km of slopes (132 km blue slopes, 123 km red slopes and 51 km black slopes). Its ski pass goes for EUR 289 for six days and last season they had 264.6 cm snowfall. Val d’Isère, (France): it has 300 km of slopes (170 km blue slopes, 78 km red slopes and 52 km black slopes), a ski pass for 6 days goes for EUR 294 and it had 682 cm snow last season. Saalbach (Austria), it offers 270 m slopes (140 km blue slopes, 112 km red slopes and 18 km black slopes). Its ski pass goes for EUR 263 and the last season it had 375 cm snow. Le Grand Massif, (France) – offers 265 km of slopes (135 km blue slopes, 95 km red slopes and 35 km black slopes) – its’s ski pass for 6 days goes for EUR 246 and last season they had 434.3 cm snowfall. Saint-Gervais (France) – with 263 km to offer (98 km blue runs, 134 km red runs and 31 km black runs), a ski pass that goes for EUR 241 for 6 days and 232.5 cm snowfall last season. Serre Chevalier (France) – offers 250 km of pistes (138 km blue runs, 80 km red runs and 32.5 km black runs). Its pass goes for EUR 259 and last season they had 351 cm snowfall. Alpe d’Huez (France) – 0ffers 250 km slopes (70 km blue runs, 130 km red runs and 50 km black runs). The ski pass for six days goes for EUR 267 and the last season they had 266 cm snowfall. Silvretta Arena (Austria/Switzerland) – offers 239 km slopes (47 km blue runs, 143 km red runs and 49 km black runs), a ski pass for EUR 257, and last year it had 397 cm snowfall. Arosa Lenzerheide (Switerland), offers 225 km (110 km blue slopes, 87 km of red slopes and 28 km of black slopes). The ski pass goes for EUR 301 and last season they’ve got 405 cm snowfall. La Plagne (Paradiski) – (France) – offers 225 km slopes, (139 km blue slopes, 59 km red slopes and 27 km black slopes). Its ski pass goes for EUR 305 and its snowfall last season was of 782 cm. Grandvalira (Andorra)- offers 210 km of slopes (100 km blue slopes, 77 km red slopes and 33 km black slopes). It’s pass for 6 days goes for EUR 265 and last season it got 322 cm snow. Les 2 Alpes (France) offers 200 km slopes (110 km blue slopes, 56 km red slopes and 34 km black slopes. The ski pass costs EUR 255 and last year they’ve got 258 cm of snowfall. 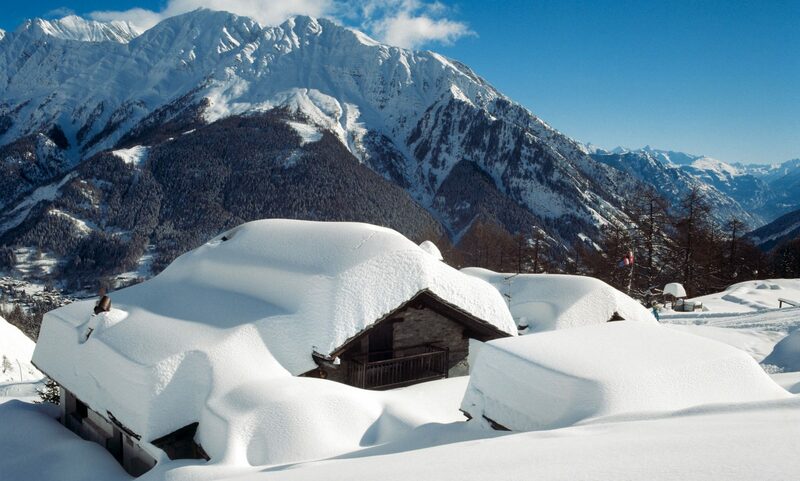 Peisey & Vallandry (Paradiski) France – offers 200 km slopes (104 km blue slopes, 70 km red slopes and 26 km black slopes). The ski pass goes for EUR 269 and last year the snowfall was of 294 cm. You can see the detail of these last 35 resorts in a chart at the My Voucher Codes website here. Les 4 Vallées in Switzerland occupies number 3 in the ranking of My Voucher Codes. My Voucher Codes ranking of the Best European Ski Resorts 2018. Via Lattea in Italy and France, the fourth place in the My Voucher Codes ranking. My Voucher Codes ranking of the Best European Ski Resorts 2018. If you want to salivate and think of snow, see our snow report from last weekend here. Or see how Aspen Snowmass has started its snowmaking operation. Aspen Mountain has already opened, as well as Snowmass Mountain has opened on Thanksgiving day. Sierra Nevada has also opened this weekend with the best snow base ever in its history. The Sun Up and Sun Down Back Bowls from Vail have opened as well, being the third time in this decade that they could open so early. Also read how one employee of Aspen Ski Co got caught in an avalanche but got out unscathed while scouting terrain for the Aspen Mountain Powder Tours. Or how the a gondola of the new American Eagle lift from Copper Mountain crashed into the snow in a trial run. The resort confirmed that the chondola will be fixed before it’s opening day. The area of Monte Cervino/Matterhorn – namely Cervinia and Zermatt occupies the fifth place in the My Voucher Codes ranking.My Voucher Codes ranking of the Best European Ski Resorts 2018. Featured Image; Les 3 Vallées in France. The best ranking resort in the My Vouchers code Best European Ski Resorts ranking. My Voucher Codes ranking of the Best European Ski Resorts 2018. Previous PostPrevious A new Leitner-Poma empty gondola cabin from Copper Mountain Crashes to the Ground.